South Street is another part of the City of Philadelphia which was designated for re-development and managed to escape it. The intention to route a freeway through it in the 1960s meant that people living in the area moved away and buildings were deserted. This in turn attracted young people with little money to squat in these buildings, including a number of artists. 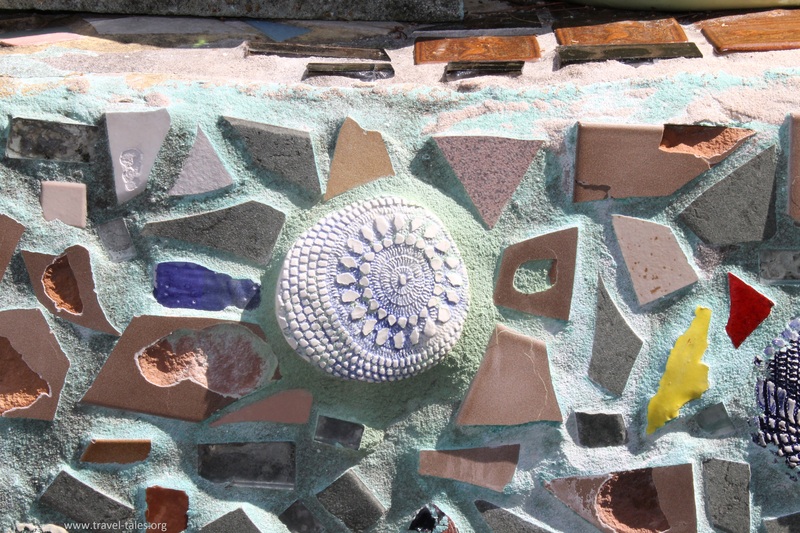 One these, Iasiah Zagar started making mosaics on an empty plot of land from broken tiles and rubbish found in the area. His wife opened an art gallery and together they worked at creating beauty out of the dereliction. The empty plot is no longer empty, rather it is a fantastic sculpture of sculptures. There are multiple levels outside all of which covered in mosaic with arches, stairs and corridors. There are lots of different types of tiles, some custom made, some broken, some purchased. 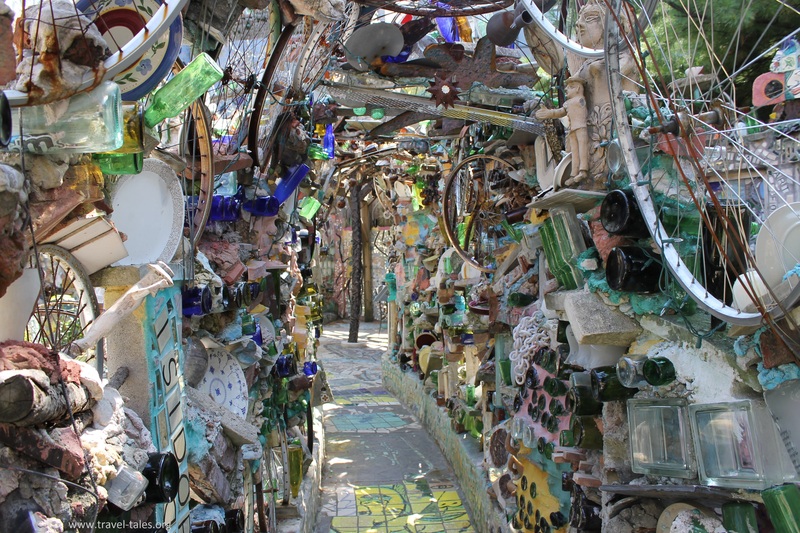 This style is typical of Zagar’s work and is created by pressing a crocheted doily into wet clay before it is fired.